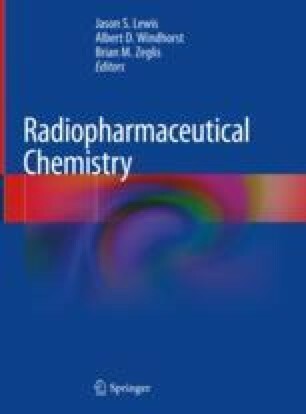 Radiopharmaceutical chemistry and nuclear medicine make use of radioactive elements and compounds labeled with them. This chapter describes the fundamentals of radioactivity in the context of life sciences. It addresses principal questions such as: What is the composition of an atomic nucleus and what are the forces which hold nucleons bound within the nucleus? Even so, some nuclei are stable, and many others are not—why? The fate of unstable nuclei is transforming into more stable nucleon configurations—but what are the basic pathways to do so? What’s going on inside the nucleus? What are the energetics and velocities of these transformations? And finally, the various changes inside the nucleus and in part also in the electron shell of the unstable nucleus are accompanied by individual emissions of electromagnetic and particular radiations: beta-electrons and positrons, electron neutrinos and anti-electron neutrinos, alpha particles, gamma-photons and X-rays, conversion electrons and Auger/Coster-Kronig electrons, and bremsstrahlung. What are those emissions in detail? International Atomic Energy Agency. Nuclear Data Services. AMDC – Atomic Mass Data Center. https://www-nds.iaea.org/amdc/. Last Updated: 9 Nov 2017 Accessed 8 Jan 2018. National Nuclear Data Center, Brookhaven National Laboratory. Interactive chart of nuclides. (Masses and reaction data for all nuclides across the periodic table, based on ENSDF and the Nuclear Wallet Cards). www.nndc.bnl.gov/chart. Accessed 8 Jan 2018. Magill J. Chart of nuclides, nuclear data in Nucleonica, Karslruhe. 2010. https://www.nucleonica.com/.../8/8a/NuTRoNS-2-ChartofNuclides.pdf. Accessed 8 Jan 2018.